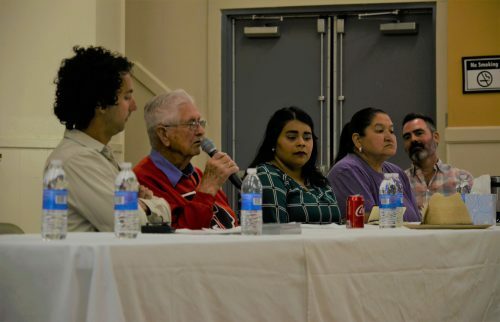 Four out of the five candidates running for a position in Marfa’s municipal election discussed their qualifications and answered questions before an audience of about 100 at the U.S.O. building Monday night. 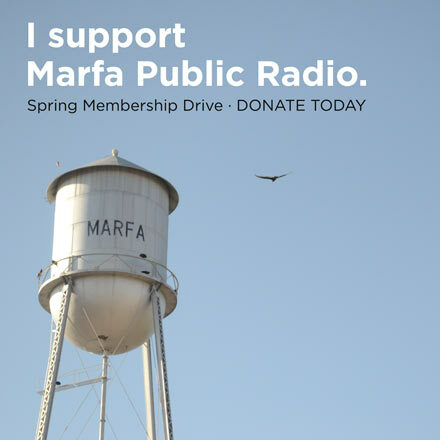 Up for election are two available seats on the Marfa City Council. Challengers Lissa Castro and Yoseff Ben-Yehuda joined incumbent council members Brit Webb and Irma Salgado. Challenger Raul Lara was not present for the forum. Also up for election is the mayoral position. Incumbent Mayor Ann Marie Nafziger is being challenged by current city council member Manny Baeza. However, Baeza was unable to attend Monday’s forum. Over the course of 90 minutes, candidates answered questions on affordable housing, large-scale music festivals, and a municipal homestead exemption for property taxes. You can hear Monday’s forum in its entirety here. Below you’ll find highlights, including the time you can hear that question or moment. A comprehensive West Texas election guide can be found here. This entry was posted in KRTS News and tagged City Council, Forum, Marfa Municipal Elections, mayor. Bookmark the permalink.